A Sermon Preached in St. John's Church, Hartford, October 29th, 1851, at the Consecration of the Rev. John Williams, D.D., as Assistant Bishop of the Diocese of Connecticut. Some Reminiscences of Bishop Williams Fourth Bishop of Connecticut. Middletown, Connecticut: Stewart Printing, 1915. Memories Here and There of John Williams, D.D., LL. D., Fourth Bishop of Connecticut, Ninth Presiding Bishop 1887-1899. The Church's Rule of Fasting: A Sermon, preached in Christ Church, Middletown, on the First Sunday in Lent, 1842. Hartford: Belknap and Hamersley, 1842. The Christian Scholar: His Position, His Dangers, and His Duties. An Address Pronounced before the House of Convocation of Trinity College, Hartford, August Vth, MDCCCXLVI. 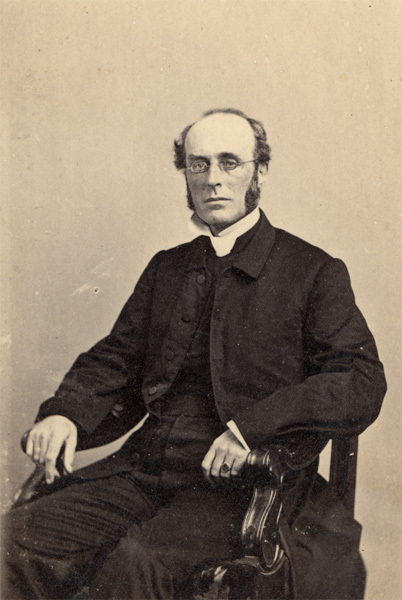 The Ordinary Gifts: A Sermon, Preached in St. Peter's, Auburn, at the Lenten Ordination, held by the Bishop of Western New York on the Second Sunday in Lent, A.D. 1848 at Which Time Messrs. Spencer M. Rice, A. Newkirk Littlejohn, and George C. Foot Were Admitted to the Order of Deacons. Auburn: Alden and Markham, 1848. Errors and Their Uses, or the Faithful Made Manifest: A Sermon Preached in St. John's, Hartford, on the Advent Ember Sunday, MDCCCXLIX. Hartford: Case, Tiffany and Company, 1849. Thoughts on the Gospel Miracles. New York: Stanford and Swords, 1849. Academic Studies: An Inaugural Discourse Pronounced before Senate of Trinity College, Hartford, on Commencement Day, 1849. The Holy Trinity: The Sermon before the Convention of the Diocese of Connecticut, Assembled at the Consecration of St. James' Church, New London; on the Feast of St. Barnabas, MDCCCL. Sermons on the Late Apostacies Preached in St. John's Church, Hartford, December 16, 1849, in Presence of the Bishop of Connecticut, and Published with His Approbation. New York: Huntington and Savage, 1850. Church Extension: The Sermon before the Christian Knowledge Society of the Diocese of Connecticut, in Trinity Church, New Haven, 1853. Hartford: Case, Tiffany and Co., 1853. Obituary Sermon Preached in Trinity Church, New Haven, March 16, 1858, at the Funeral of Rev. Harry Croswell. New Haven: Thomas J. Stafford, 1858. The Address Delivered in St. John's Church, Stamford, June 25th, 1861, at the Funeral of Rev. Ambrose Seymour Todd, D.D., and a Sermon, Preached the Following Sunday, June 30th, by Walter Mitchell, together with the Resolutions of the Clergy of the Diocese, and of the Vestry of St. John's Church. New York: G.F. Nesbitt and Co., 1861. The Sermon Preached at the Consecration of the Chapel in the Berkeley Divinity School, Middletown, Conn., March XVI, MDCCCLXI. A Sermon Preached in Christ Church, Hartford, January 29th, 1865 in Commemoration of the Rt. Rev. 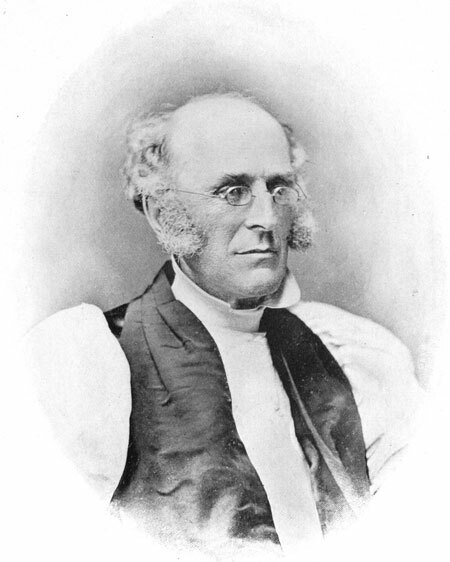 Thomas Church Brownell, Third Bishop of Connecticut, and Presiding Bishop of the Protestant Episcopal Church in the United States. Hartford: Brown and Gross, 1865. God's House Forsaken: A Sermon Preached before the Society for the Increase of the Ministry, in Calvary Church, New York, September 30, 1866. Hartford: Wiley, Waterman and Eaton, 1867. The Church Ministering to Human Wants: The Sermon Preached in Trinity Church, Boston, before the General Convention of the Protestant Episcopal Church in the United States. no place: Printed for the House of Deputies, 1877. Faithfulness in Stewardship: A Baccalaureate Sermon Preached in the Chapel of Trinity College, Sunday, June 23, 1878. Hartford: Clark and Bulkley, 1878. Studies on the English Reformation. New York: E.P. Dutton, 1881. The World's Witness to Jesus Christ: The Power of Christianity in Developing Modern Civilization. New York: G.P. Putnam, 1882. Men for the Times: The Sermon Preached before the Convention of the Diocese of Connecticut in Trinity Church, New Haven, June 12, 1883, in Commemoration of the Election of Samuel Seabury as First Bishop of Connecticut, March 25, 1783. New Haven: Tuttle, Morehouse, and Taylor, 1883. The Election and Consecration of the Rev. Henry Codman Potter, D.D., LL.D., as Assistant Bishop of the Diocese of New York. The Fruit Bearer Chosen and Sent: A Sermon preached at the Consecration of the Assistant Bishop of New-York, by the Bishop of Connecticut. The Stones Revived: The Sermon Preached before the Convention of the Diocese of Connecticut in St. James's Church, New London, June 10, 1884, in Commemoration of the Consecration of the Rev. Samuel Seabury as First Bishop of Connecticut. New Haven: Tuttle, Morehouse and Taylor, 1884. The Wise Ruler: The Sermon Preached before the Convention of the Diocese of Connecticut in St. John's Church, Hartford, June 9, 1885, in Commemoration of the Episcopate of Samuel Seabury. New Haven: Tuttle, Morehouse and Taylor, 1885. An Examination of the First Dogmatic Constitution on the Church of Christ Set Forth by Pius IX with Approval of the Vatican Council, July 18, 1870. Southport: Church Record Association, 1886. In Memoriam Alfred Lee, Late Bishop of Delaware and Presiding Bishop: A Sermon Preached in St. Andrew's Church, Wilmington, Del., June 2nd, 1887. Wilmington: James and Webb, 1887. Studies in the Book of Acts. New York: T. Whittaker, 1888. Helps to the Study of the Prayer Book. The Memorial Chapel of the Good Shepherd, General Theological Seminary, Chelsea Square, New York, Consecrated 31 October, A.D., 1888, by the Right Rev. John Williams, D.D., LL. D., Bishop of Connecticut, as the Presiding Bishop of the Protestant Episcopal Church in the United States of America. Sermon in Memory of the Rev. E. Edwards Beardsley. New Haven: Tuttle, Morehouse and Taylor, 1892.